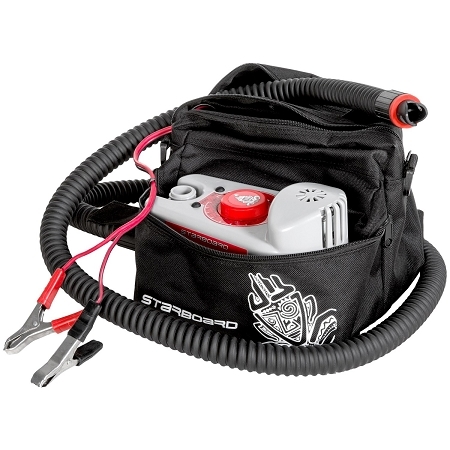 Save time and energy with Starboard's Astro electric pump, an effortless choice for inflating your stand-up paddle board or kayak. Powered by your car battery, it takes less than 4-5 minutes to get your inflatable to 14 PSI. This battery allows you to inflate the board away from a car or boat battery. We typically can get 3-4 inflations before needing to recharge the battery when inflating an average sized SUP.